I loved that response! yes! than Spanish nationalities racing at CEV, so is not just spaniards coming out of it. 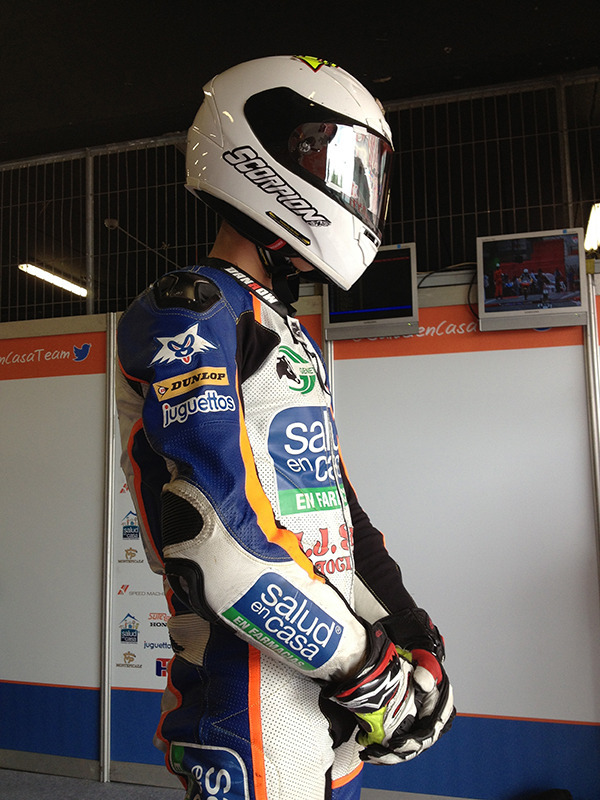 Here is a behind the scenes look at a CEV Repsol weekend for my client Moto 3 team JJ Saez when I was in Barcelona. Jesus owns a motorcycle shop in Talavera, a town 1 hr away from Madrid. It has 3 floors! The top floor has a bunch of collectable bikes! Jesus is the team owner, rider manager (his 17 year old brother), he can build the whole bike, he is excellent at paint jobs (He did the Moto 3 paint job from the design I did for them and he restores classics) all in one! Notice the Speed Machines Design logo behind my head! box designed by SMD as well. Honda Hospiyality, not as big as the MotoGP one, but nice still. 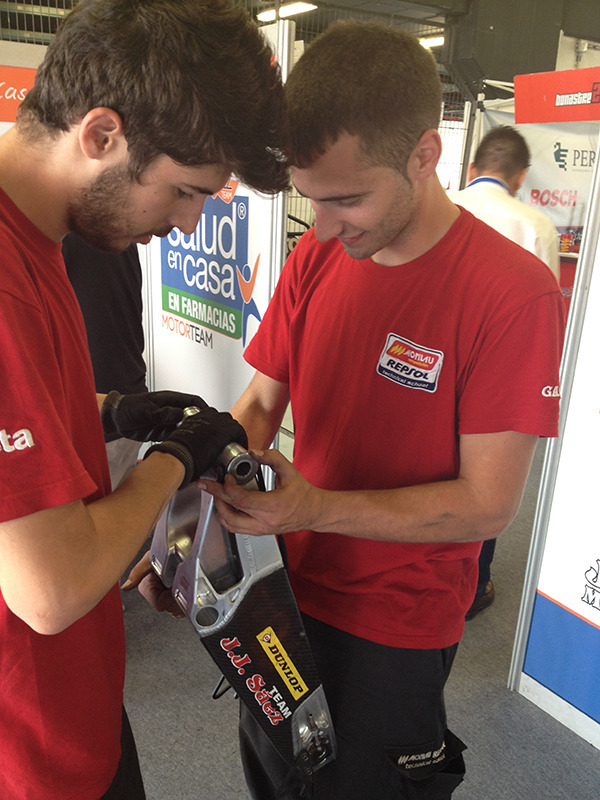 The bike had a "vibration", here the guys from Monlau try something on the swingarm. Even the young daughter was interested on the thelemetry! they start young! 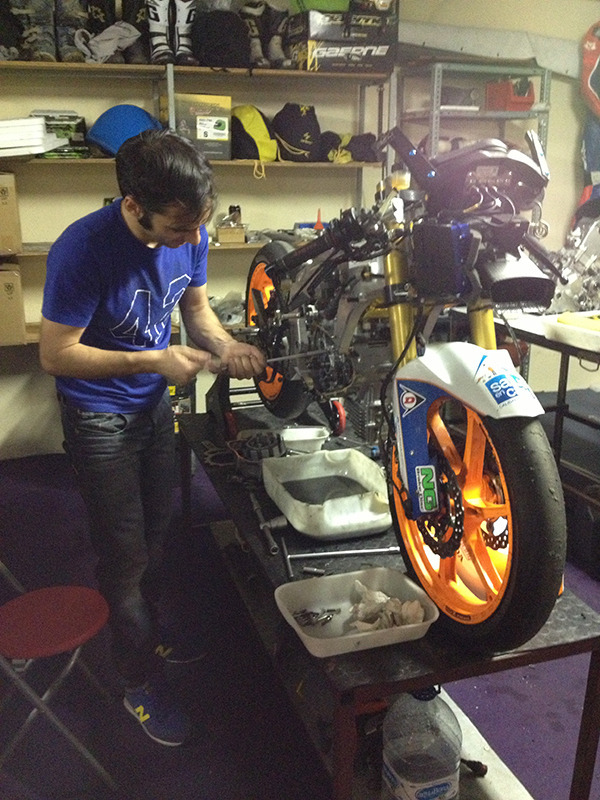 Bike is ready, livery by SMD of course! 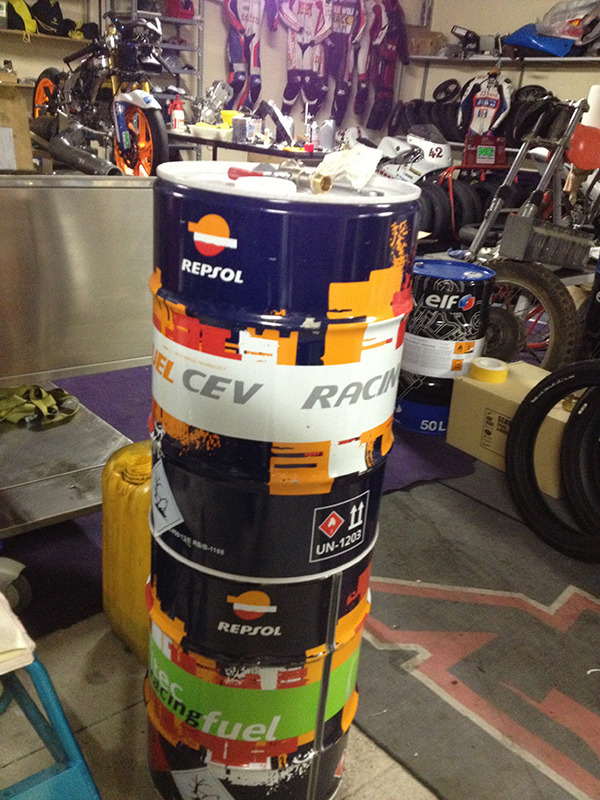 Look for the CEV Repsol races on you tube!